Featured work by Jackiellen Bonney ’17 on model Meg Hahn. Photo by Kyle Dubay ’18. The Runway Fashion Show premiers the collections of majors in our Textile and Fashion Design Program and raises critical support for MECA’s Student Scholarship Fund. It will take place in the Institute for Contemporary Art (ICA) on Thursday, May 4 at 7:30pm. Doors open at 7. Tickets are required. Tickets are $100. TICKETS ARE LIMITED | TIME IS RUNNING OUT! 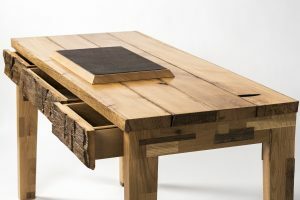 Evolving Perceptions is a showing of functional and sculptural wares that are exploring a conversation between surface, form and the ever changing perspective of functional objects. 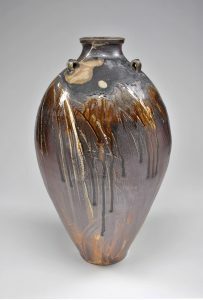 Adrian King recently worked as an apprentice to a production potter in North Carolina by the name of Mark Hewitt. There he learned to produce functional pottery at a high standard keeping with pottery traditions tied to english slipware and southern folk pottery. Since his time working in North Carolina, he has been developing a body of work that speaks of the relationship of his interests in atmospheric firing with gas and wood, and the skills and techniques he learned as an apprentice. He hopes to be able to capture the beauty of the materials used through simple yet activating surfaces that speak true to the process of the craft. 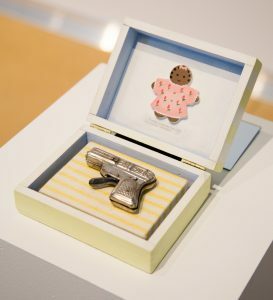 UNLOADED is a multimedia group show that explores historical and social issues surrounding the availability, use, and impact of guns in our culture. Learn more. Can You Use a Coin to Make a Moon? 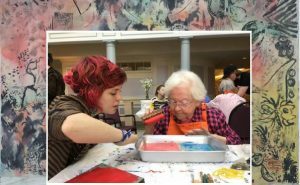 The relationship between artists living at The Cedars Retirement Community and socially engaged artists from Public Engagement at MECA, is a collaboration between generations centered on the theme of sharing history, making, and ideas central to human connection. 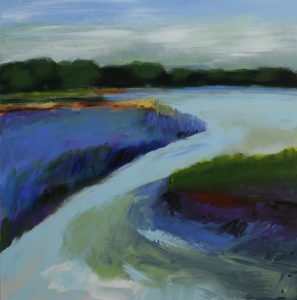 Using printmaking as a medium, open-ended projects led to conversations that became as much a part of the art as the objects that were created. Hosted by the MECA Diversity Committee, this event is free and open to the MECA community and general public. Part of First Friday Art Walk activities. Refugee Kids is a short documentary that follows students at a New York City summer program for children seeking asylum from the world’s most volatile conflicts. The film presents an intimate, emotionally gripping account of the students’ stories of escaping war and conflict and resettling in America, chronicling their triumphs and setbacks as their lives unfold over the course of one formative summer. Refugee Kids humanizes complex geopolitics and depict the challenges and urgency of immigration to American in an increasingly dangerous and interconnected world. 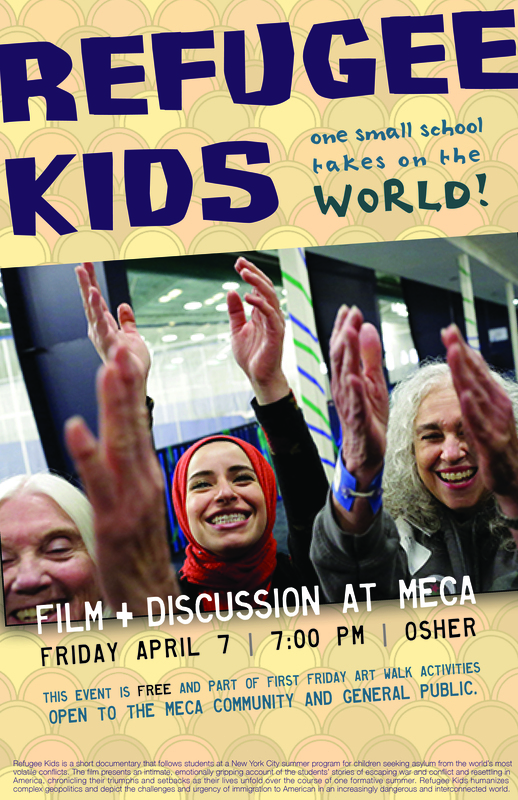 Reza Jalali and Ekhlas Ahmed will lead a discussion about the film immediately following the 46-minute film. Learn more here. | RSVP Here. Speakers from Resilient Portland, Portland Trails and other institutions promoting sustainability within the city. They will be speaking on topics of positive energy, food, waste, liveable cities and sea change. Ella is partnering with Resilient Portland who is making a map of the groups within the city who are working toward a more sustainable and resilient community. The event will be celebrating the release of this map and highlighting a number of the groups listed! The lineup for music and performers will be: Myles Bullen, Visitor10, Thomas Aeroson, and more to be announced soon! 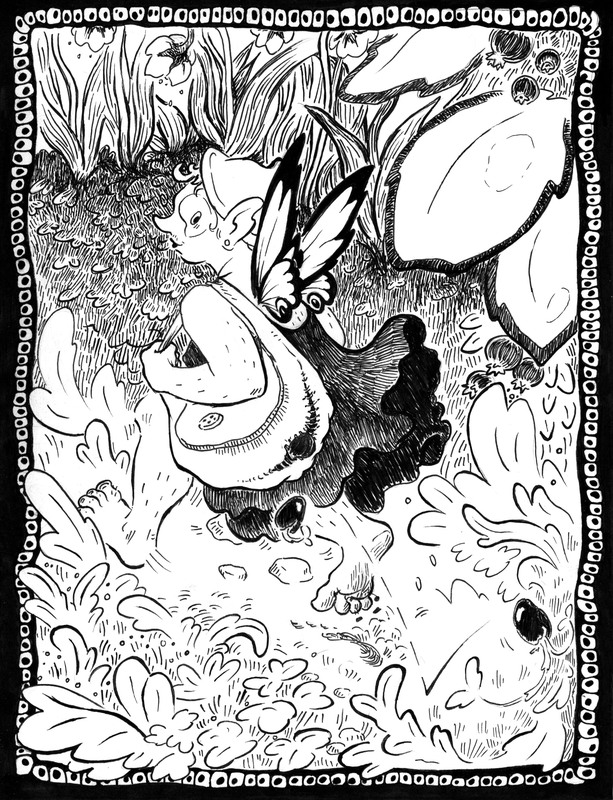 There will possibly be fire-spinning by local artists, food, and a post event, geo-cache/scavenger hunt for the fairies! Bring a dance partner, a random person you met on the street, your friends and family, or just your self! 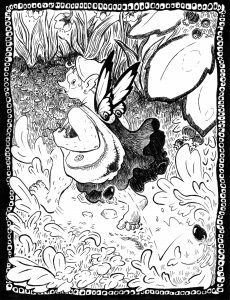 Posters (shown in the event picture above) will be on sale and printed live by Ella Milk and Anna Welch on First Friday, April 7th, 2017 from 5:00-8:00pm in front of Maine College of Art. This is a free event done for the sake of our planet and all creatures and ecosystems local and worldwide, as well as in the spirit of Ella’s art and thesis project. All proceeds will be paid to our musicians and performers who help make this gathering possible! The 2017 Thesis Exhibition Opening will be held in conjunction with the First Friday Artwalk. 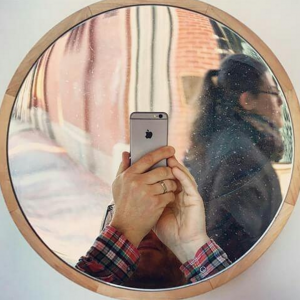 This year’s exhibition features work by over 100 graduating students in our BFA program. Light fare and interactive art on Floors 1, 2 and 3 of the Porteous Building. Free and open to the public.